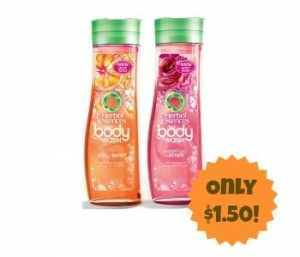 Home > Printable Coupons > Herbal Essences Coupon | Body Wash $1.50 at Walgreens! Herbal Essences Coupon | Body Wash $1.50 at Walgreens! Here’s a rare new Herbal Essences coupon you don’t want to miss! If you are looking for a deal on body wash, you can pick some up for only $1.50 each at Walgreens this week with coupon below.